Crux is a clean and elegant design, meant to compliment a wide range home decor. 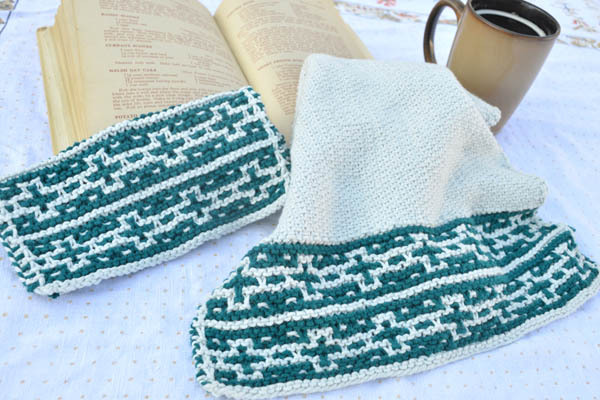 The towel and cloth are available to purchase separately or together – if you buy the towel pattern, you will automatically receive the cloth. Both feature a textured stitch that helps scrubbing and absorbency, making it a pretty and useful addition to your kitchen or bathroom.